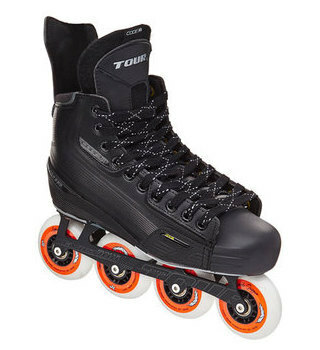 The Tour Fish BoneLite 725 Limited Edition Roller Hockey Skates are a totally updated version of the original 725 skate. 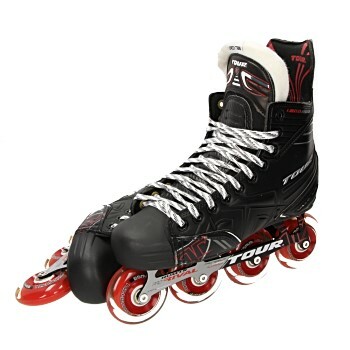 This Tour 725 LE Skate features a brand new Hum’er Pro Rival frame, which utilizes magnesium and aluminum for a lightweight and durable chassis. 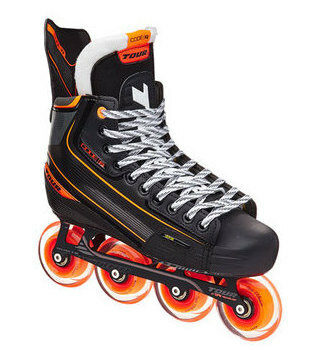 This holds a straight set up of Labeda Millenium wheels and their Bevo Gold-9 Race Bearings; giving players speed, power and grip. 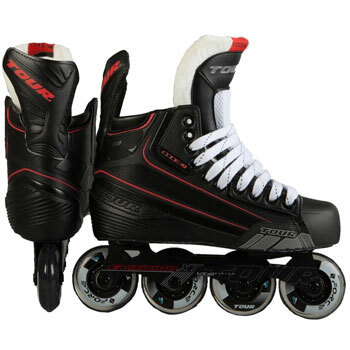 * DPS enables Tour to use larger wheels on the front, optimizing speed and power while keeping the player’s center of gravity as low as possible for ultimate stability.